The Online Kundali Matching for Free service aims at providing you the most reliable and trusted software for Horoscope Matching and compatibility. 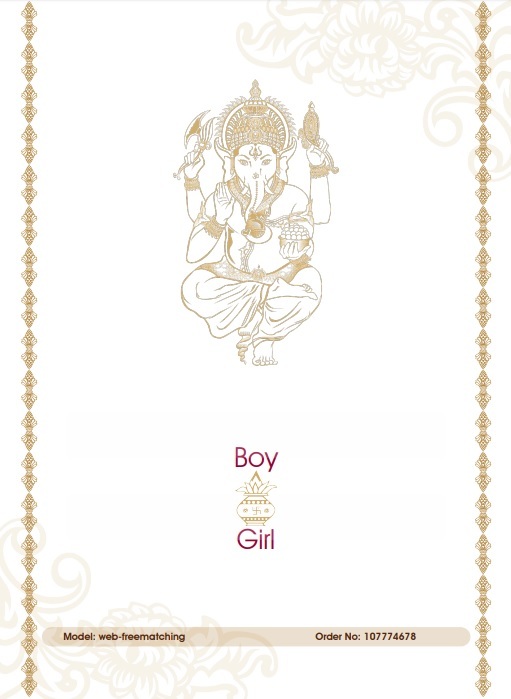 The process involves comparing the Kundli of the Boy with and girl and vice versa, to calculate the number of Guna that matches, along with finding if any of the Kundli contains Manglik Dosha or partial Manglik Dosha. The strength of the Navamsa Chart is also calculated to see if the stars and planets of the couple align. Kundli Matching is important to determine whether the couple will work together to work out their differences or if they’ll talk each other’s ear off! It finds out if the couple will get along like a house on fire, or if they’ll always be at opposite ends of the table. Marriage is considered to be a sacred ceremony which binds two souls in a nuptial bond. The Online Free Kundli Matching works to pave a way for the to-be bride and groom to have a blissfully married life. The most important chapter of one’s life is finding a life partner to spend your entire life with. Marriage brings two families together and not just the couple. Analysing the compatibility of the couple before finalising the marriage has always been the tradition in families. Kundali Matching or Horoscope matching is dependant on three factors: Guna Milan, Navamsa Chart, and if there is any mangal dosha present in the birth chart.Guna Milan is based off of calculating the position of moon in the birth charts of the couple. The eight aspects of Guna Milan are calculated and matched, each signifying a different aspect of the married life of the couple. The Varna or Jaati aspect finds out which category the boy and the girl belong to. The next category, Vashya portrays the situation of power between the two. The aspect is further divided into 5, namely Nara (human), Jalchar (sea animal), Chatushpad (little animal), Keeta (insect), and Vanchar (wild animal). This classification calculates the power dynamics of the couple; it determines who will overpower the other in this matrimony. The third aspect is Tara, which calculates the compatibility as per the Nakshatras present in the birth charts. Yoni aspect comes next, which analyses the intimacy between the couples. The aspect figures out if the boy and girl will share love and passionate feelings or not. This aspect is further classified into 14 animal types, each signifying different outcomes. The fifth Aspect is Graha Maitri, which calculates camaraderie and friendship between the two. The next is Gana aspect which makes sure that the stars align to match the temperament of the two! Rashi aspect and Nadi aspect are the last two, which deal with the emotional stability and health of the couple respectively. The total score for Guna Milan is 36, and depending upon the score that the couple gets its decided whether it’s an ideal match or not. If the couple scores less than 18 Guna Milan points, the marriage is off the table. This is not considered an ideal situation and as per the astrology behind Kundli Matching, if marriage happens in this case, it is likely to break off, or the couple would have major ideological differences. In case of 18 to 24 Guna Milan points, the matrimony is deemed acceptable as per the standards set by Horoscope Matching and the families can proceed. A score of 24 to 32 Guna Milan Points is considered an amazing match. The marriage between these two would stand the test of time and would be able to face any dartball thrown their way! If the score obtained is between 32 to 36 Guna Milan Points, the pairing is excellent. The couple would get along extremely well, just like a house on fire! This is the most auspicious pairing, which would always result in an amazing conjugal life! Kundali Matching is the easiest way to predict if the pairing would stand the test of time, or will their boat sail at the dock! Match your Kundali with that of your partner to know if your match has got the blessing of the stars of not!